The Department of Finance (DoF) wants to make it easier for credit unions (CUs) to switch from provincial to federal regulation. It issued this release today. The DoF’s aim is to address the concerns of CUs, which are currently provincially supervised. Those concerns revolve around things like federal deposit insurance and restrictions on insurance sales. From a mortgage standpoint, however, a move to federal rules would be a mixed bag. For one thing, it would put CUs that elect federal regulation under the oversight of banking regulator Office of the Superintendent of Financial Institutions (OSFI). That means much of the lending flexibility of those credit unions (e.g., lower qualification rates, higher loan-to-values on HELOCs, etc.) would be eliminated. On the other hand, bigger and better capitalized national credit unions could see improvements in funding ability, brand recognition and consumer uptake, providing increased mortgage competition to the Big 6. Almost 1/3 of Canadians are credit union or caisse populaire members, according to the press release. CUs are also the only brick and mortar financial institution in over 340 communities across the country, says the Credit Union Central of Canada. into a net of federal regulations.Why? We have seen how the OSFI crackdown has turned all FRFIs into one giant homogenous, unbending lender, and rightfully so given their “can’t afford to fail” size….but how many shades of financial beige does the borrowing consumers need? We need more lending alternatives, not less. The benefits of a federally regulated CU are minimal.The vast majority of CUs are smaller local or regional entities, that would not have the desire nor have the financial/ human capital to grow beyond their province.CUs provide sensible, local lending alternatives. Minister Flaherty, leave the credit unions to be regulated provincially. Well put. If Flaherty was given the opportunity to control every lender in Canada he probably would. Every consumer is high risk to the Department of Finance. Thank God provincial regulators are more sensible. Rather than making further policy changes to the already overly-regulated mortgage lending guidelines, why not turn your attention to the predatory lending practices that many of the same FI’s practice every day through their credit card arms and their dealer finance departments. As a mortgage professional in the business for over 10 years, I have seen and continue to see huge speed limits and compliance changes being made to the mortgage qualifications that severely limit the ability of Canadian home owners to effectively manage their financial well-being and prevent (in some cases) home ownership altogether. 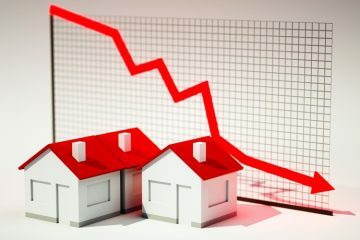 At the same time, I have seen and continue to see absolute abuse and nonsensical lending policies practiced by, in many cases, the same banks and CUs in Canada with their other consumer lending departments such as dealer finance. These other departments do not seem to be monitored at all by OSFI regulation and are not open to scrutiny of any kind – or it would not be happening. It is these completely opposing policies within the same lender organizations that are putting the consumer in a far worse financial position by allowing unqualified borrowers to finance cars, trucks and rec vehicles at insanely high monthly payments, foster negative equity positions with consolidation financing and with little or no income confirmation. Do the credit card companies and the auto dealers in Canada carry such weight in Ottawa that they have convinced Jimbo to look the other way when it comes to their lending practices? Why is Flaherty so focused on controlling the mortgage marketplace while simultaneously disregarding the much more broad Canadian finance issue which includes many more Canadians than just homeowners? 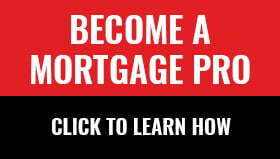 I for one would like to see Mr. Flaherty and his buddies at OFSI leave the mortgage status quo in place for now, with no further changes to the qualification rules currently in effect and turn their focus to what I see on a daily basis is a much bigger issue – consumer debt like credit cards and vehicle financing. It would seem that the consumer’s ability to walk into almost any dealership and drive away in a brand new vehicle with a $1000 monthly payment for the next 7 years without so much as having to fog a mirror let alone prove income and capacity is a far bigger issue. Add to that the security on the loan is a ridiculously depreciating asset and something starts to smell funny about the absence of regulation. Don’t get me wrong – I have not been opposed to some of the changes to amortization length and down payment amounts. However, why is it that this other farther-reaching issue of consumer lending remains the wild west when it comes to regulation? And why is it that within the same Big 6 Bank the lending practices are so different? Could it be because they can get away with it? Without Big Brother auditing those files? Why is Flaherty and his magic policy-making pen silent about this side of the lending world? Whether the CUs in Canada transition to Federal regulation or not is up to them. Why they would give their autonomy is beyond me unless it is imposed. I would just like to see a playing field where the regulators are not talking out of both sides of their mouths. If they are truly out to “protect the public” then look at the whole picture – not just part of it. The same with mortgage brokers. Our regulator makes our life harder and harder! This is so well written and brings up potentially one of the most important issues of our time. Whatup Mr. Flaherty? I give this comment a standing ovation from my desk. Jeff, well written and well spoken.. Thank you for taking the time to voice what has been in a lot of our minds.